Join the Pylon Records Soundcloud to listen two new tracks of Douglas’ forthcoming first solo album Kill Your Friends. The tracks are Move On (excerpt) and Death Is King (complete). It is not planned to put the entire album on soundcloud but probably one track or remix every week until the release on November 23th, 2012. Keep an eye on it! 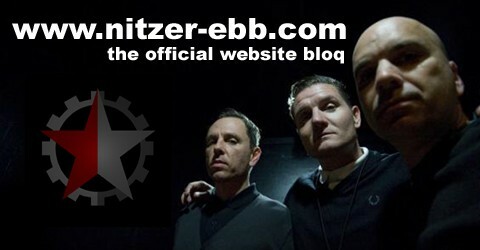 Pylon Records is proud to announce that on November 23, 2012, one of the most prolific singer/songwriters of the electronic music scene and the Co-founder, of the highly influential band, Nitzer Ebb, will release his first solo full length album. The album will be available in two physical formats. A Limited Edition Color Vinyl (Limited to 300), hand signed by Douglas, which also comes with a bonus CD, will only be available through the Pylon website. The Bonus CD will contain 3 songs not included on the vinyl version, plus several remixes exclusive to this CD. The commercial CD will contain all twelve songs featured on the vinyl and the 3 songs on the bonus CD. A limited number of T-shirts will also be available through the Pylon website.